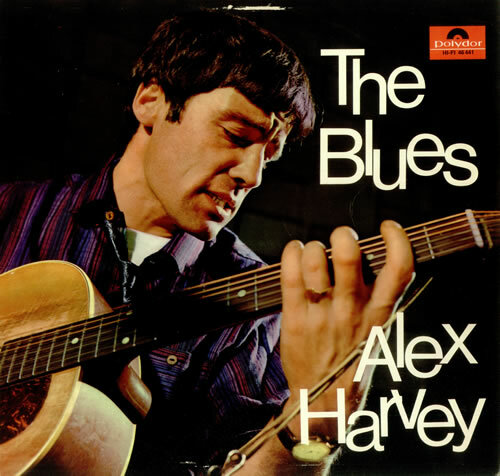 ALEX HARVEY The Blues (Super rare 1964 German Polydor label 15-track STEREO vinyl LP, glossy picture sleeve with a striking colour cover photo and fascinating liner notes on the reverse, including original poly-lined inner. From the vast personal archive of a former music reviewer and journalist, this copy has been carefully stored away for more than 30 years. The sleeve has a little storage damage on the front but is in otherwise superb condition. The vinyl looks barely played, retaining a glorious 'just pressed' lustre with perfect labels free from spindle marks. A top copy of this much sought after item! #46441).